Since all the EOS you are holding currently are ERC20 tokens based on Ethereum platform, which can be reckoned as “temporary EOS”, if do not map, you will not get your “real EOS” on the EOS mainnet. Therefore, mapping is requisite (the latest time of mapping is 6:59:59 a.m. of 2nd June 2018. Additionally, it is advised to carry out the mapping with your own wallet, because some projects based on EOS main chain are very likely to airdrop giveaways when the mainnet is launched, if you don’t map, you will not get these giveaways. In the future, you will probably miss the chances of the receiving these giveaways. For this point, those friends who missed the airdrops of bitcoin fork coins must have very sympathies. Bitpie provides two options of EOS mapping. 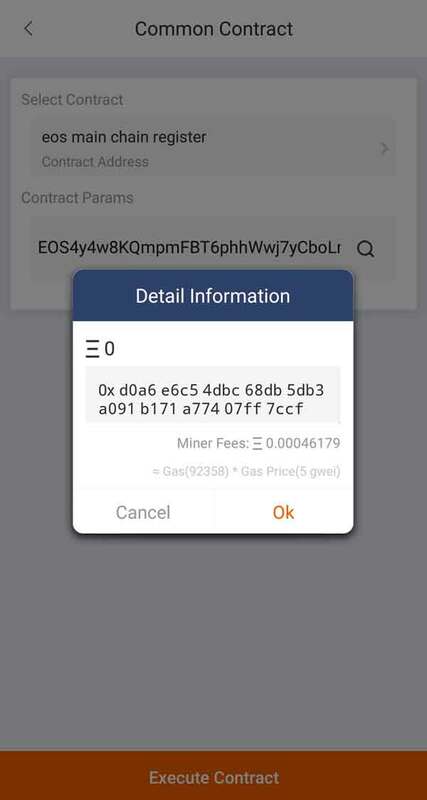 2.Wallet-All-Common Contract-Select Contract-Select ‘EOS main chain register’ . 3.Click “Execute Contract” and input ‘PIN’ code. 4.Executing the contract will consume some miner fees. After the confirmation of the execution of the contract, your EOS mapping is successfully completed. 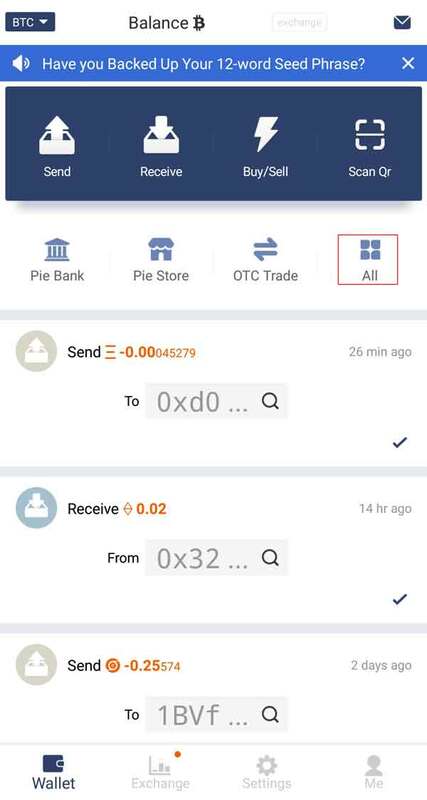 First deposit your EOS tokens into Bitpie Wallet, second, deposit EOS tokens into “Pie Bank”. Bitpie will carry out the mapping for All EOS tokens in your Pie Bank before the launching of the mainnet. To check the success of the EOS mainnet mapping, please follow the steps as below. According to the requirements of EON official, the claim must be done before 12:00:00 1st June 2018(GMT+8), please make sure your wallet has more than 100 EOS. The function of “execute contract” of Bitpie EON claim (claim) will be offline after 12:00:00 1st June 2018(GMT+8). If you have already executed EON claim(claim) contract, you can just wait for EON official to send the airdrop. 1.Make sure you have more than 100 EOS and whether it confirms to the EON official airdrop regulations. Deposit your EOS to Pie Bank, Pie Bank will arrange payment when receiving the airdrop.